Google Adwords Certified Partners in Delhi, India. 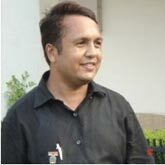 "Jeewan Garg"
When we talk about PPC services it mainly considered to be Google Adwords. As mentioned above we are Google Certified Partner in India not Google Adwords Certified Professional. When we say Partner, it is beyond professional. One has to meet the following requirements to become a partner. Should have enough clientele to meet google’s minimum spending criteria. Google Adwords certified partner implements Best practices in the managed advertisers accounte. e.g. add extensions, negative keywords etc. 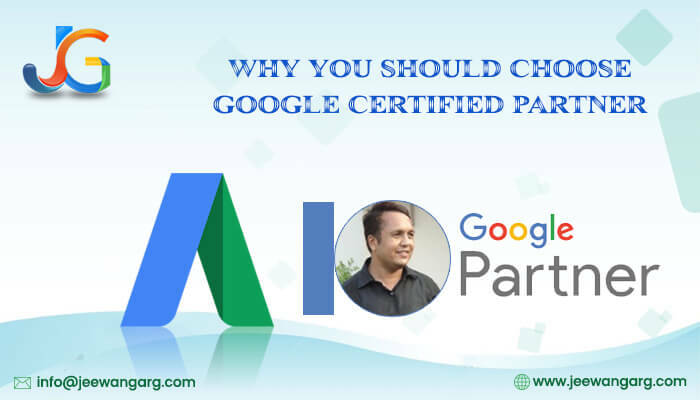 The person who has cleared the Google exam, but is not able to meet the above mentioned requirements, or is not willing to meet the requirements, will only be Google AdWords Certified Professional. We being Google AdWords Certified partner imply that we not only have theoretical knowledge, but practical expertise on how to have good a ROI for any AdWords account. We are running AdWords in many verticals like: Health, Tourism, Manufacturing, Real estate, Political Camp, NGOs etc. So what are you waiting for let’s have a FREE discussion, which can give you an insight on how other competitors are doing in your trade and how you can have an enhanced visibility. When we talk about best practices. We work on 100% following transparent model. We create a separate email id or give the access of Google Adwords to client on his preferred email id. Once client deposits the relevant amount in Adwords account, there is direct access of all that interface to him/her. We give real data sharing to customer using his Google Adwords account where each penny spent on advertisement can be transparently seen by him. We optimize both old and new Google Adwords account but we still prefer client to retain any old Google account that he is having as it holds potent goodwill of Historical CTR. 1. Get a block ahead with Beta Features to counter competition– With Google Partner badge, there is always easy access to Google’s beta features which promise access of new applications testing to Google Partner for a year before it presents to the general public. Google marketing gives you immense power to gain from this advantage before your competitor can even access it! 2. Avoid Waiting in Line – Google Partners are headed by a prominent Google Agency Team owned to handle large ads of a client and addressing issues without the client kept waiting in line for one. Say, if your AdWords campaigns cease running due to some virus, you will lose money until those campaigns are reactivated. But if you connect to a Google Agency Team, the problem will be solved immediately. 3. Mandatory PPC Best Practices – Once Google Partner status is owned, it is mandated for agency team members to be thoroughly trained by certification exams in AdWords Fundamentals, Search, Display, Shopping, etc. Partners can also attend free training to adapt to the latest PPC practices, so a healthy PPC environment can be maintained. 4. Testing & Research– Google Adwords Partners need to exhibit their prowess in best practice guidelines too. It may allow for greater analytical tasks like practicing split testing on adverts to promote greater traffic to a client’s website and need to go by ethics and strong disciplinary approach in best practices. They can also run multiple ads per campaign group with different keywords and messaging. Google boosts up marketing experiments that fillip beneficial goals of the client’s target market. Google Standards are purely based on moral performance grounds and anybody not being part of the standard can have its stature revoked. This tough stand by Google means the level warranted by Partner Stature will be ensured at all times by provision of quality service to the client. Once you get in contact with jeewangarg.com, you get one thing in common and that is “commitment” from an agency qualified by Google directly—which ensures that you get the very best of high-quality service always.